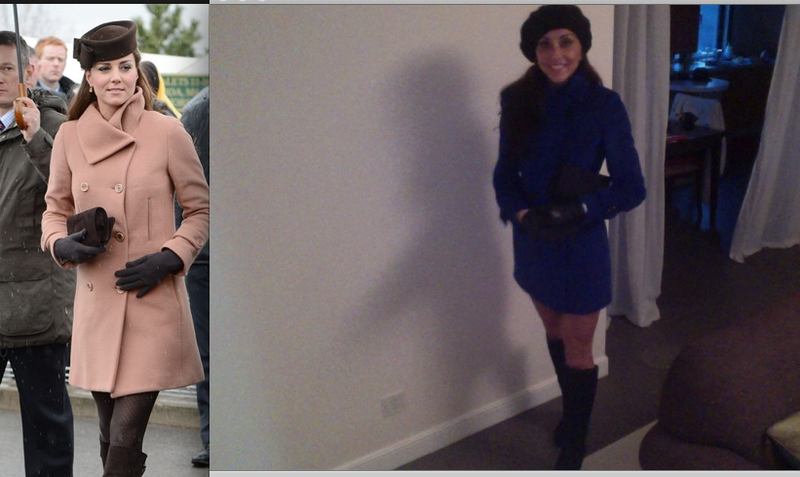 My new winter coat, inspired by Kate Middleton. One of the best things about living in Shanghai are the textile markets. There, you can design your own clothing; choose the fabric, the buttons, the collar, the trim, the lining. The list goes on and on. The majority of us are so oblivious to how much work is involved in the production of clothing, since we just hop into our cars and go to the mall in the States. After living in Shanghai, I really appreciate good quality and design more than I ever have before. This is Mina and her team, working on the coat I bought. She does high quality work. I highly recommend her shop! The style, seaming and double-breasted style are the same as Kate's. 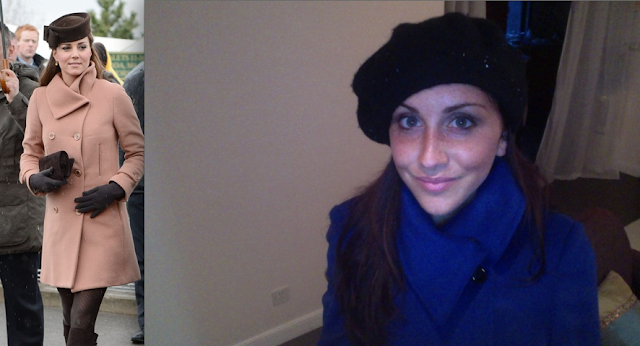 I choose blue to brighten up gray winter days, and to make my blue eyes "pop". I don't have a proper, stiff pillbox hat, so instead I am using my beret. I can't see myself buying a hat of that style. I would probably only use it once. It's definitely a different style for the collar, since most peacoats have traditional broad lapels. Now I just have to wait until next winter, since spring is here, and it's currently 75* outside today!